Meet Kevin—a young professional working in mergers and acquisitions, who recently became an investor through FrontFundr. Kevin lives and works in Vancouver and is passionate about sports, travel and building his non-profit organization. He doesn't fit the profile of a traditional investor in an early stage private company. A new category of investors is emerging that doesn’t look like what most expect when they think: investor. Many new investors are investing through platforms like FrontFundr, which opens up stringently vetted investment opportunities to regular people. Today’s investor is diverse; today’s investor is not a stereotype. 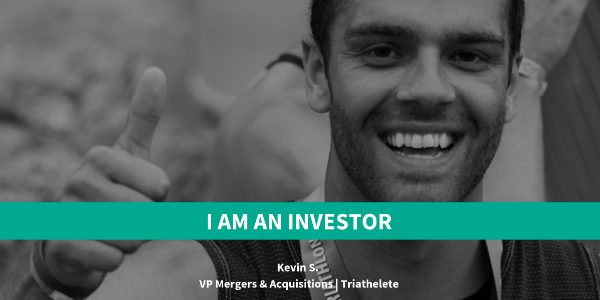 Learn more about Kevin and why he decided to become an investor through FrontFundr. FrontFundr: What do you do for a living? Kevin: I work at a mid-sized professional services firm specializing in mergers and acquisitions advisory in Vancouver. FrontFundr: What are some of your interests or passions? Kevin: Playing any and every sport, hiking, charitable work, traveling, and growing my NPO – the Whisky Wisemen. FrontFundr: What type of investment experience do you have? Kevin: I invest in a range of different equities on the stock market. FrontFundr: Do you manage your own investments or do you have a portfolio manager? Kevin: I manage my own. FrontFundr: What inspired you to become an investor in an early stage company? Kevin: Times are changing and with more bright people chasing their dreams than ever before, investing in an early stage company was my chance to get off the sidelines and in the game. FrontFundr: What’s one criterion you look for when making investment decisions? Kevin: Does the risk versus reward narrative sound positive now and if so, will it sound positive in the next five years. For information on becoming an investor, visit our How It Works section for investors. If you’ve already invested through FrontFundr and would consider sharing your story, please contact us.